Rest In Peace young man. We Thank You! God bless you Officer Nicholas Galinger for your service and sacrifice. Thoughts and prayers go out to your family and friends, and to your brothers and sisters from the Chattanooga Police Department. Rest In Peace Brother. This is horrific and tragic in every way. A young life taken by a person who had no regard for life. Thank you officer for your life and service. Our thoughts and prayers are with your department, family, and friends. Please accept our sincere condolences during this difficult time. Thank you for your service. R.I.P. so sorry for the family's and his department. Rest in Peace Officer Galinger. Thank you for your service. My thoughts and Prayers go out to your family, coworkers and friends. 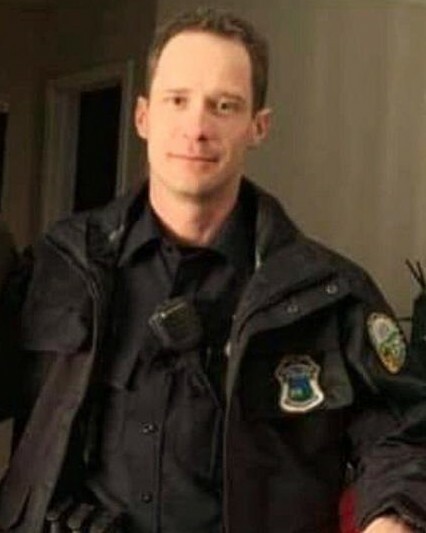 Rest in peace, Officer Galinger. You deserve your divine reward. My heart is broken. My tears are flowing. I know your pain. I too lost my son. Prayers for the blood and blue family. May God and St. Michal hold the soul of Officer Nichols Galinger, family, friends and co workers, in the palm of his hand. Be with God Officer Galinger. Condolences and prayers for his family and friends at this time. Rest easy brother. Prayers to you, your family and friends. We have the watch from here. Rest in Peace brother; thoughts and prayers to your family and your Blue family. Rest easy brother, we have the watch from here. Prayers to you, your family, and friend. My thoughts and prayers are with you and your family. Thank you for doing your job. Rest in peace Dear Brother. God bless. "HEROES LIVE FOREVER"